If you’re seriously ready to do something with that idea of yours, first let me show you what I’ve been able achieve through social influence. 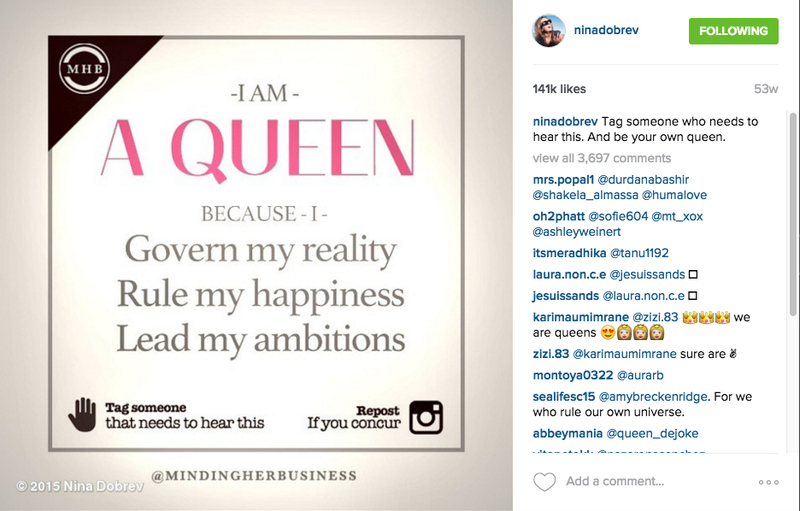 I launched and grew my instagram account, @mindingherbusiness, to over 100,000 followers in less than a year. And now I’m bringing all of this experience to you! 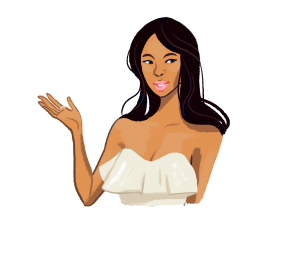 I’m Ivy Ejam, creator of Minding Her Business. 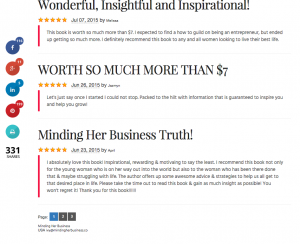 Webpreneur, Web/Graphic Designer, Author, Event Host, Life Coach, and Social Influencer in the Business Women and Motivational niche. A little over a year ago, I didn’t have most of these accolades attached to my name other than Webpreneur and Web/Graphic Designer. With just ONE idea, proper branding, consistency, and a system set in place, I was able to completely change my reality and open up many doors of opportunity. What most don’t seem to understand about the business world is that having a great product isn’t enough to be successful, you must get as many eyes as possible on that product. If no one knows you, no one is buying from you. If no one knows you, no one is working with you. If no one knows what you stand for, no one will stand with you. 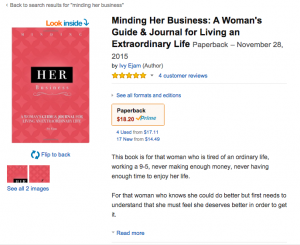 When I started @mindingherbusiness, I didn’t even have a product. All I had was an idea, a genuine interest in a particular field, and a general idea of what I eventually wanted to sell through my platform. 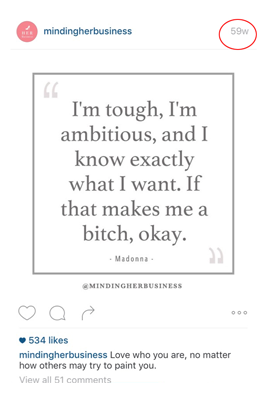 I had been following a lot of motivational pages on instagram and noticed that not many of the posts were catered to women in business. Being a business woman myself, I saw this as an opportunity to fill a gap in the market and build up my own presence. I understood that other women like myself wanted a place to gather and be inspired, so I took it upon myself to create that place. It is really that simple. Think of a niche that you would like to target (in my case business women) and create content for them to gather. 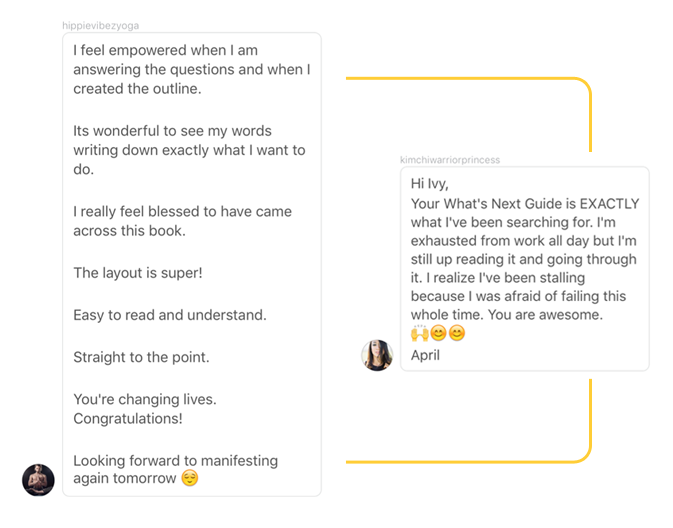 When you are building yourself as a social influencer, not only is content key, but CONSISTENCY is. I posted 2-3 posts a day everyday since the day I started and still do till today. What motivated me to keep going was having a plan. I understood that I was building a brand for myself and that creating a new source of income from it would be a marathon, not a sprint. 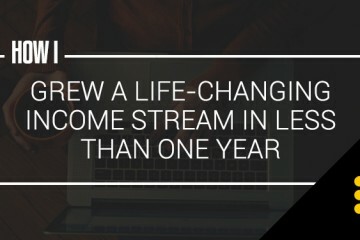 So would you like to create a new source of income by just what you love everyday? If so, you most likely have a general idea of the niche you’d like to dominate but probably don’t know where to begin. I get asked by a lot of my followers, how did I build my brand and how they can do the same. Generally, a lack of plan and direction is what deters most from getting started even if they have a really awesome idea. Instead of answering the same questions over and over again, I decided to create a thorough guide on how anyone can build an influential brand the moment they’ve come up with an idea. I’ve included a good amount of what I’ve learned about business over the past few years. Not just through what I’ve built on Instagram, but through 10 years of experience as a branding expert, webmaster, and designer in the web industry. Creating MHB has lead to many other awesome opportunities, including meeting some amazing people. Through a shared interest in empowering others, I met Kenneth Badgett on Instagram (creator of @incometips). He and I have collaborated on some amazing projects, including this definite step-by-step guide. 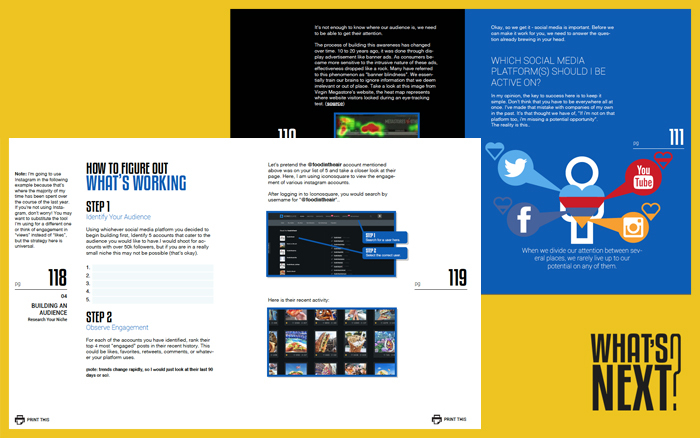 In the first few pages of our guide, you’re greeted with an intro and a list of 28 important tasks. You can print this checklist out or fill it out digitally as you go along. 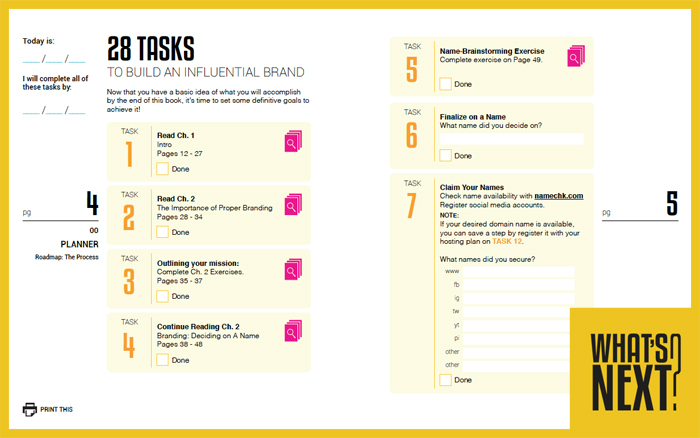 These tasks act as your table of contents & visual roadmap as each task completed brings you closer to building your influential brand. As you’re probably already aware, a big factor toward achieving success is the mindset that you have toward your ability of achieving it. 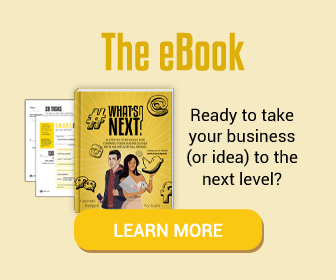 In this guide, we go over the common fears that you may be facing with regards to starting a business, (fears that Kenneth and I have both encountered along the way) and address how those fears can actually be used to your advantage. Following that, is an overview of the importance of branding and various exercises to help you establish your brands foundation. 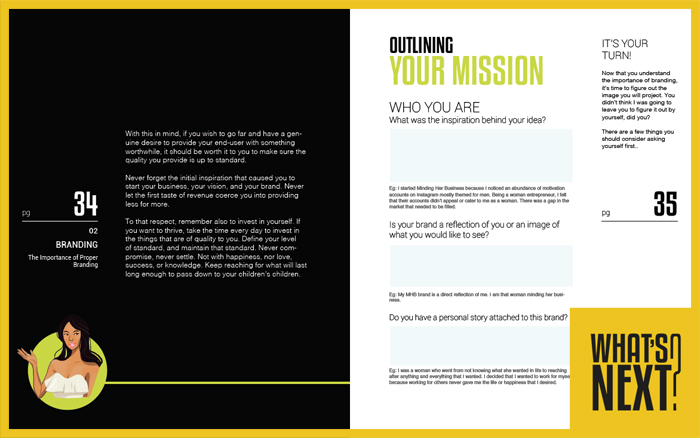 From my experience as brand architect, I’ve created exercises to help you ask the proper questions to build a great story around your brand. We then tackle how to visually represent your brand, help you figure out a name, issue a tutorial on how to publish a professional website, go over the importance an email list, how to set one up, then dig into building your social platform. Although our expertise applies to Instagram, make no mistake that it is all you are limited to. Our methods will assist you in building a presence on any platform you choose, it’s all about using your creativity and main mission as a guide. Another common excuse that many have said to be the reason for not getting started is poor time management & lack of visible progress. Well my dear, I was able to grow my account from 0 – 10,000 followers in 30 days just by sticking to my plan. If you stick to our step-by-step plan, the results you see will guarantee that you stick it out. 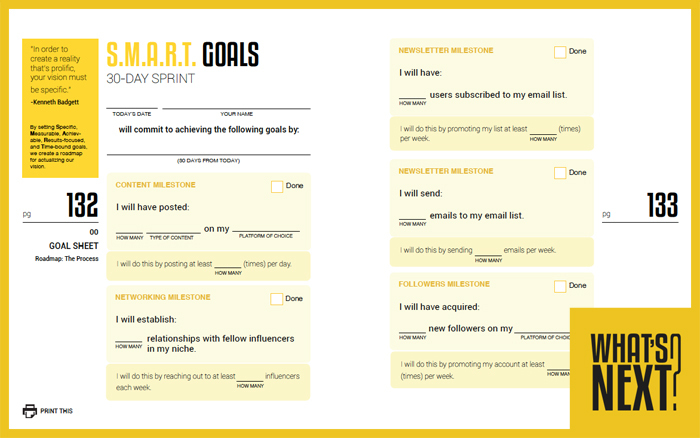 To assist you further in sticking to the plan however, at the very end of our guide we’ve created a 30-day S.M.A.R.T. Goals sheet. In this case, we’ve created a list of goals that we personally set for ourselves in order to ensure growth of our brands. For example, I set a goal to hit 100,000 followers by the time of my 28th birthday in August 2015. In order to achieve that goal, I had to measure which actions were currently giving me X amount of followers per day. 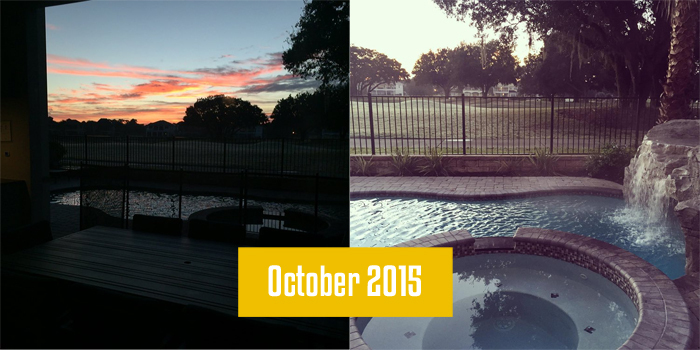 I then estimated how many more times I had to do it per week in order to reach my goal in a few months. Every day that you are not putting ACTION toward building a brand you are potentially missing out on hundreds of dollars per day – I’ve seen it with my own eyes!